Calgary shortlistees for this year’s Alberta Literary Awards are reading this Friday night, April 30th, at 7PM. The venue is 100 Wines, 1109 Olympic Way SE, the same place the Wine and Literary Pairings event was last winter. 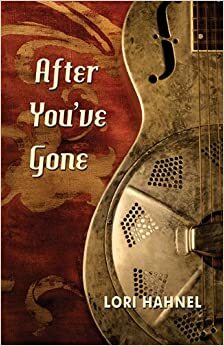 Looks like Calgarians are dominating the awards this year (hee hee), with fifteen of us reading on Friday, including Bob Stallworthy, Betty Jane Hegerat, Will Ferguson, Cecelia Frey, Lee Kvern and me. Plus wine and tapas! Sounds like a great party to me. Then we’ll all be heading up to Edmonton May 14th for the WGA’s Awards Gala. More fun! In the meantime, I enjoyed the Alexandra Writers’ Shining Stars Event on the 16th and am in the thick of preparing notes for my weekend intensive, Life Into Story, which is set to run May 28 – 30th. No rest for the wicked, eh? So I guess I’d better get back to work. Just back from a spring break trip to Seattle with the family. We had a fabulous time. It was our first time there; so many cool things to see and do. But we were unanimous in our choice for best Seattle attraction: The Experience Music Project, an interactive museum dedicated to rock music. Wow, unbelievably cool stuff like a whole gallery devoted to Jimi Hendrix’s guitars, for instance (or the remaining pieces of them, in some cases). Could have spent days there. Spent a few bucks in the shop, though we really held back. Kinda sorry I didn’t buy the Axis: Bold as Love lunchbox, but I guess I can live without it. 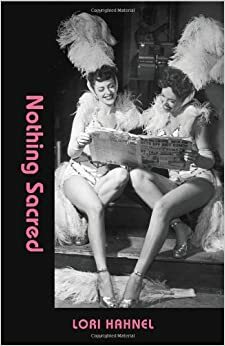 Anyway, now it’s April 1 and I can finally announce that Nothing Sacred is on the shortlist for one of this year’s Alberta Literary Awards, the Georges Bugnet Award for Fiction. The complete list of shortlistees is here. The competition is pretty stiff, but it’s a great honour just to be on the shortlist. Lots of excitement until the winner is announced at the Literary Awards Gala in Edmonton on May 14. Shortlistees will be reading in Calgary at 7 PM, April 30th, at 100 Wines, 1109 Olympic Way SE. Come on down and buy some fine books by some fine Calgary writers! That’s three readings for me this month, along with the events I’m doing with the Alexandra Writers on April 9 and 16th. Crazy stuff.